NEW Glock 43 chambered for 9mm (shown with optional Vickers Tactical Extended Magazine Floor Plate, available at the store for $10.38) . 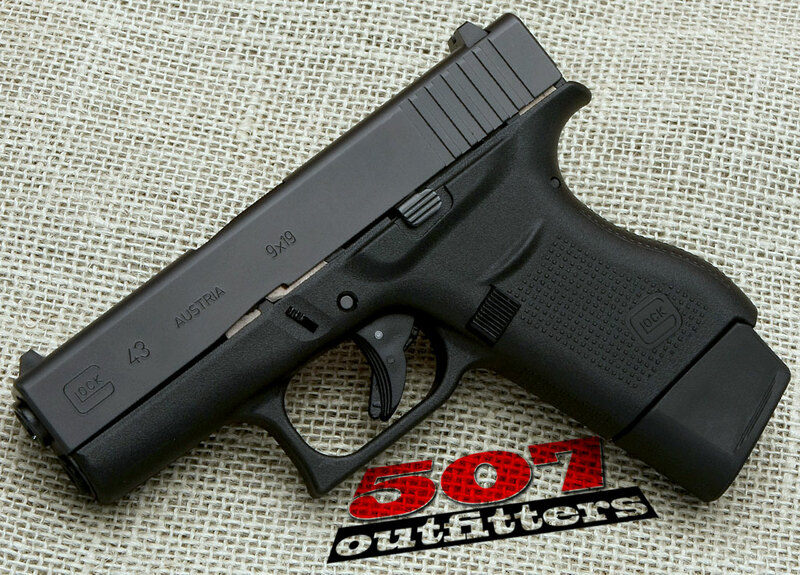 We also carry other Glock firearms. Contact us for pricing and availability at contact@507outfitters.com or call us at 610-438-4780.